My earliest memory of the iconic three-pointed Mercedes badge has to be my Uncle’s S Class. Prior to buying the Merc he had always been a Jaguar fan and having been a passenger in both the S-Class and the Jag, I remember them as totally different beasts. The Jag with its lashings of wood and plush upholstery, the majestic leaping car on the bonnet and its seats which were better than those in our house. The Mercedes-Benz with its velour interior and build quality akin to a tank, it was definitely built to last. Being used to my Dad’s Ford Cortina, as good a car it was, it just didn’t have the build quality or the heavy doors of the S-Class. But somewhere down the line, Mercedes lost their way and started to use cheaper parts and it showed. The most over engineered car of the time, 190 is still clocking up stratospheric mileage as a taxi in many European cities and Mercedes started to get a bad name for itself for the poor quality of its builds. 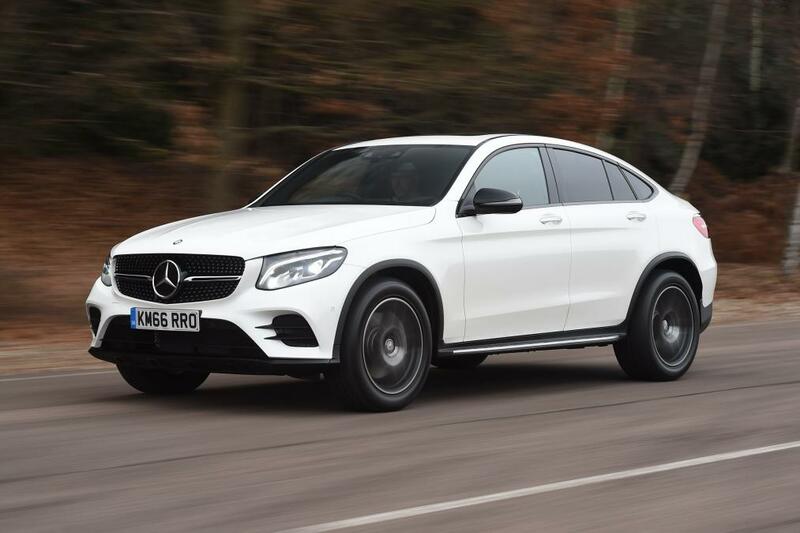 But it looks like they are turning the corner now, which brings me perfectly to the car I’ve had the pleasure of driving this month – the Mercedes GLE Coupe SUV. Launched with three engine options – the 3.5L diesel, 4.5L V6 and the AMG 6.3 which is powered by a huge 5.5L V8 twin-turbo – it’s a sporty alternative to the Range Rover Sport and a direct competitor to its German cousin the BMW X6. Unless you have an oil field in your back garden the petrol engine versions of this car are going to be costly to run. As you may expect then, the Diesel engine will be the best selling engine in the range. Don’t let the diesel fool you though, with a top speed of 140mph and 0-60 in seven seconds so it’s no slouch. You can expect around 35mpg from the Coupe which is only 4mpg off Mercedes’ own number at 39mpg, though that figure should be helped by the nine-speed automatic gearbox all cars are fitted with. From the two trim specs available, even the base AMG line comes with auto dimming and folding mirrors, parking sensors, reverse camera, heated seats, climate control and DAB radio. For those wanting even more of a refined experience can opt for the Designo line which will add heated and cooling massage seats, 360 degree camera and a Harmon Kardon sound system. The GLE has a real presence on the road and thanks to huge wheels, large Mercedes badge and sporty body kit, will certainly turn heads on roads filled with small Euro-boxes. Speaking of Euro-boxes, which are often renowned for their sharp handling, the Coupe is as smooth as silk around corners thanks to the adjustable driving modes and air suspension allowing it to be as responsive as a car half its size. In comfort mode, the car’s steering feels precise but still quite heavy. Put it into sport mode though and the car transforms. Firmer body control and extra grip thanks to the four-wheel drive systems leaves it wanting to be thrown into corners and tight country roads. Inside, Mercedes have ensured the Coupe’s dash and interior are up to the standard with the C Class interior and although it does look a little busy with so many buttons, you can’t fault the materials used. Built for comfort and durability, they are plush to booth the eye and the touch, but feel so well put together that they will last a long time as well. On the topic of buttons, although functional, the Coupe’s multimedia system seems to be over complicated to me. I still prefer the iDrive system from BMW which is much easier to use. Unlike the original X6, the GLE is fitted with three rear seats, and while it may be comfortable enough, tall passengers may find headroom to be a little tight. The GLE is a very good car indeed and it’s a perfectly accomplished SUV that gives both the Porsche Cayenne and the Range Rover Sport a real run for their money. If you are looking for something new and unusual the GLE may be your go to car. It has bucket loads of kerb appeal and I’m sure it will be built to last a very long time indeed.